Friday Post #8: Runing Away. Sometimes, I wish I could just run away and never look back. I wish to explore the world and the people in it. I wish to know myself. 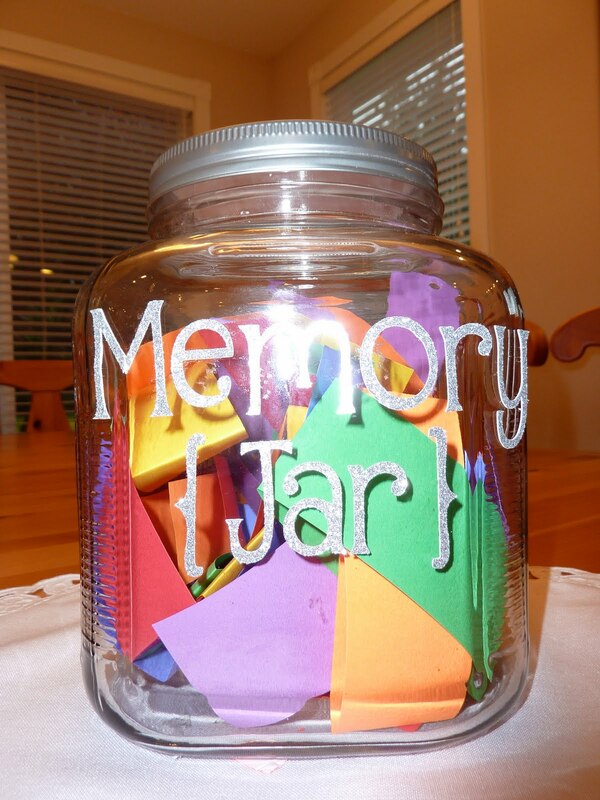 Friday Post #7: New Year Resolutions and Memory Jars. Okay I am late again. Sorry :3 But anyways.. Happy New Year!! 😀 I know I am late for that, too. Sorry, again. Every New year we all go like, “New year, new me.” We make a list of resolutions to change ourselves, be a better person, make a difference, achieve something, blah blah blah. We even make the efforts but a few days in and we forget those resolutions and we are back to our old habits. The point I’m trying to make is not that we can’t change but the fact that we don’t need the New Year to make that effort. I believe that if you want to change you would start making an effort right now. Forget new year’s eve, every new day brings you an opportunity to start over. It’s your day, your moment, your life. You can be anything that you want to be. Doesn’t matter if it’s new year’s eve, 3 in the morning, mid of July, of 5 in the afternoon; if you want to make a difference you should make an effort to do so. What is it with people? Is it their hobby or something? Their passion? Something they take pleasure in? A past time? Something that makes them feel alive? People love to disappoint, don’t they? It’s just that when you start to get closer to somebody and you get to know them, you start to expect things out of them. At first its little things and then big ones. It all goes fine at first and you are high up in the sky on cloud 9. But then the person get’s a sudden urge to pull you down. They disappoint you, in the worst way possible. And it breaks your heart. Shatters it. You cry, you scream but nobody else knows because you keep it to yourself. Soon enough you realize that it was your fault after all. You are the one who expected something. You are the one who gave them the opportunity to break you. And after that, you wipe your tears, you get up and walk away carrying the memory of the pain you felt. You make it a habit never to expect anything out of anybody. You don’t let anybody get close to you. You put up a barrier against people, even the ones you love. You vow to protect yourself from that heartbreak. But once in a while, a person comes around. A person who makes you want to lower the barrier and to give him a chance. And silly as you are you neglect the memory you carry with you. You forget the pain you felt, the agony you went through. And yet again, you give them the chance. You let them come close. You begin to expect things from them. And once again, you are disappointed. You are broken. You fall, you cry, you scream. You realize your mistake. You wipe your tears, you get up and walk away, this time carrying a new memory of pain with you. Well it’s a little late for Friday post considering it’s Saturday night here but I totally forgot about this and so I’m doing this now. So, while getting to know myself better I realized that I have a tendency to build barriers against the people I love or those that are close to me. To be honest I think it started during the summer vacations. I don’t know how or why I started doing this but I do know that why I do this now. It’s actually quite simple: I’m sick of getting hurt. I am just sick of people walking all over me and not realizing it. When I get close to someone I begin to expect things from them. It’s like a create a whole different person made out of expectations. Like a model or statue of clay but I imagine one made of glass. At the heart of this model lies my heart. But the thing with people is that hey love to disappoint. They just come in and break that whole statue, shatter the glass and my heart. And this just keep happening over and over again. It’s like a pattern. I build the statue and they break it. Well so in order to avoid this heart-break I just cut off the person way before I build any statues and they get any opportunity to break it. I just won’t let anybody get close to me anymore. I know, I know, it sounds stupid but I can’t help it. When you let someone get close to you, when you trust somebody you basically give them the power to break yet you trust them not to. So, why should I give anybody the power to break me? That’s why I build barriers. I simply block the people off. No need to get any closer. Keep your distance. Peace. PS. I’ll probably elaborate on this later. Right now I am too pissed off to think straight. Sometimes you are overcome will a gripping feeling. It’s like you are screaming but no sound comes out. It’s like someone is binding you, holding you back, restraining you. It feels like your head is about to burst and you feel like crying. You suddenly feel burdened as if your shoulders are supporting the weight of the world. Like your heart is in chains. You feel like breaking the chains and throwing the burden off but there is nothing to throw away. You open your mouth to speak but words desert you. 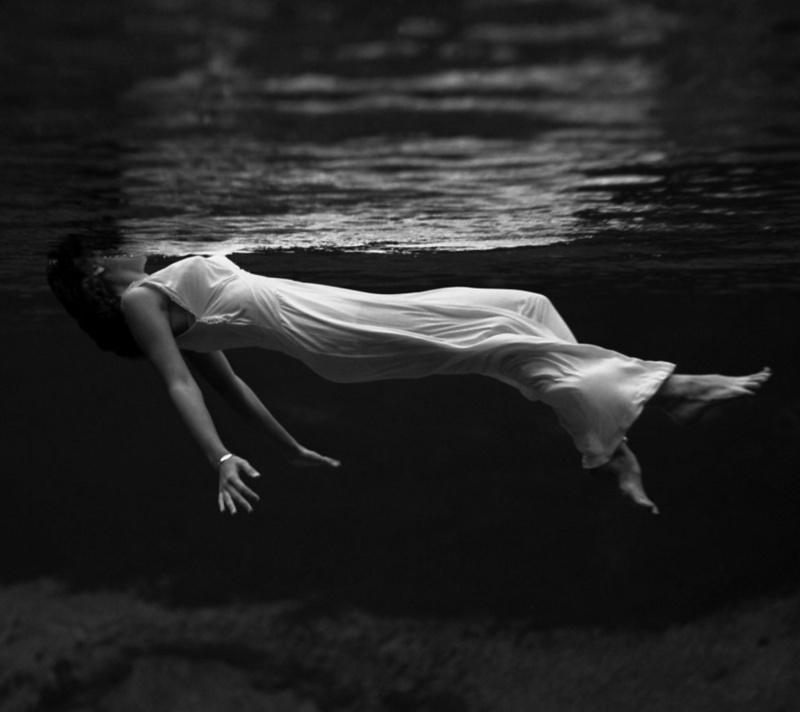 You feel like you are drowning and there are a lot of people there but their backs are to you and not a single sound escapes your mouth. Not one of them turns. And you just keep sinking to the bottom. Silently. Bound in chains, your mouth gagged. You feel the world slip through your fingers and there is nothing you can do about it. You can’t scream, you can’t cry for help. You just watch the world leave you. Everything becomes a blur. And slowly, with each passing moment you fade away, to the blackness of the sea. Recently I’ve realized something; you will always feel weak and vulnerable unless you know yourself well and accept yourself the way you are. Knowing yourself well includes knowing your good and bad qualities, the way you react to certain kinds of people, what are your feelings on certain kinds of occasions. Earlier on I was always more or less surprised at my own reactions at times or confused as to what made triggered such and such reaction in me. However lately I’ve begun to analyze myself a lot. I notice the kind of thoughts that rush into my mind as a reaction to the situation. Though I don’t ponder over it there and then obviously because I am so overcome with emotion but later on I do think about it and I know myself much clearly now. Accepting yourself for who you are is more or less the most integral part of your personality. When you aren’t ready to accept yourself for who you are you mostly try to change yourself usually around the example of someone else. Which is bad for you. It could break you. It’s what leads to insecurities which again is not good. When you accept yourself for who you are you begin to appreciate yourself for the good qualities in you and try to improve yourself for the bad qualities. At the end, when you know yourself well you are in control of yourself and you know what kind of reaction you might give and you try to avoid the more violent ones. Do we have any mind readers in the crowd? Anyone? Anyone? No? I thought so. The reason for that is they DO NOT EXIST. So we all know they don’t exist yet we still believe that our certain friends are mind readers. What I mean to say is that there are people who are sitting miles away from you and they think that without any kind of communication you would automatically know that they are upset/happy. I mean seriously? That is just plain stupid. You are feeling upset, you need someone but they don’t know because you didn’t tell them. If you want someone to be on your side why don’t you just go and tell them that? What’s so wrong in that? All you gotta do is tell them you are upset. The rest is up to them. Now, if you prefer to keep your emotions to yourself, you should at least have the decency not to blame it on somebody else. You preferred to keep it to yourself, that was your choice. There are people there who don’t need to be told you are upset but that is when you are talking and you seem down. That’s how they figure it out; by the your tone. But that too, only happens when you actually talk. Lack of communication won’t take you anywhere. Anyways so, spread Dhshms people!! Okay so we’re halfway through Ramadan. Whew! Time fly’s so fast in this month. anyhow, sorry for being totally MIA, my internet wasn’t working. During Ramadan, I find this inner peace that’s impossible to find during the busy days of the rest of the year. There is something relaxing about keeping a fast during which you not only abstain from eating but all sinful acts too. After Fajr prayers (Dawn) I have a habit of reciting Quran. And must I tell you, it’s so relaxing. It’s that time of the day when all the world outside is coming to life, the birds are chirping while the rest of the world sleeps. In that time, while reciting Quran I feel strangely connected to God. I feel the same connection while praying to God on the nights of Ibadat (praying to God.) It’s in those moments that I feel the most sincere while I beg for forgiveness. I treasure these kind of moments. So you see there is thing about Ramadan, you not only fast from dawn to sunset, you learn to have patience, and the importance of helping the poor. But most of all you learn to thank God for every little thing you have. When you have spent the entire day with an empty stomach and everything seems delicious to you, you thank God that he made you this fortunate that you have so much to eat. All those things that you hate to eat are all blessings for which you forgot to thank God. Along with this you also get an insight to the lives of all those people who go days without eating anything because they can’t afford it. But nevertheless we can never know exactly how much those people suffer through everyday. Ramadan is a very blessed month for all of us. I love Ramadan and the feeling that comes with it. But I can not deny how much I am waiting for Eid. (The three days of celebration at the end of Ramadan.) It’s my favourite time of the year. Until then it’s all busy.